Silver Serpent™ is an amazingly flexible, abrasion resistant shop air tool hose which provides a durable alternative to heavier rubber hoses. 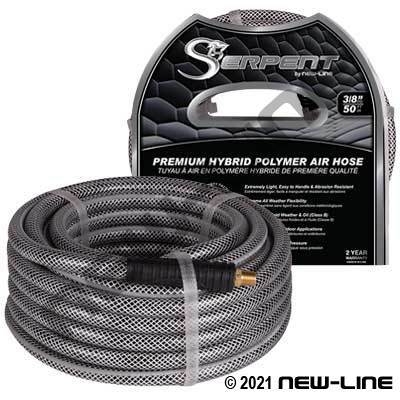 Serpent™ is priced similar to traditional PVC hoses but offers many advantages - seeing is believing. It is extremely light-in-weight, easy to handle (especially in cold weather) and provides superior abrasion resistance when dragged.